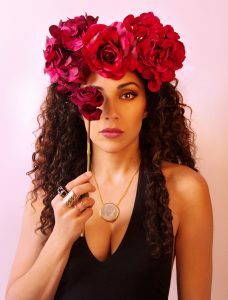 An Interview With the Cuban-American Singer, YVETTE NACER On New Music, Biggest Inspirations and More! Get to know the Cuban-American artist Yvette Nacer! 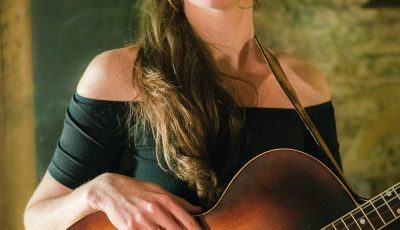 She has been immersed in a musically diverse world that has established her early on as a rare kind of singer that is comfortable in a multitude of genres. 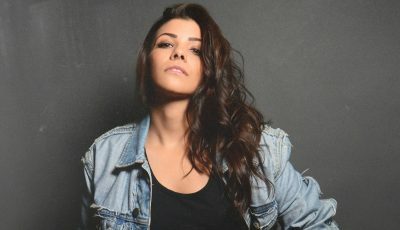 Armed with a versatile voice, a unique lyrical perspective, and a raw, unfettered talent that weaves itself effortlessly into her songs, Yvette has performed alongside some of the industry’s biggest names including Jason Mraz, Ne-Yo, Wyclef Jean, Gloria Estefan, Engelbert Humperdink, All-4-One and Justin Bieber, among others. Although her songs have been heard on a variety of Films and Television shows, Sirius XM Radio and various features, Yvette’s talent is not just limited to music. The multi-faceted artist is also an award-winning actress, having landed such coveted roles as Cha Cha in the FOX’s star-studded cast of Grease: Live, Vanessa in the 1st National Broadway Tour of In The Heights, and Kiki in the beloved Emmy-Award Winning Television Series The Fresh Beat Band, to name a few. Of course! I am currently in Los Angeles and I’m on my way to the studio recording some strings and vocals for probably one of my favorite songs off of the new album; so I’m pretty stoked. 2017 was super productive! I wrote and produced over 40 new songs and filmed the music videos “Who We Were Before” and “Santería” (which is to be released in May). I also won the John Lennon Songwriting Competition and wrote a lot of music for Film and TV, some of which will be out in theaters this years. On top of all that, I had a few songs that were recorded by different artists and I acted in a few films. For 2018, apart from working on an EP and an album slated for release later this year, I’m currently producing my first feature film and developing several other shows. However, waking up earlier would be nice too, considering I have so much going on this year! Growing up, did you ever think that this would be the kind of life that you would have today? Can you recall your earliest musical memory? When I was really little, my mom made me a cardboard violin and showed my sisters and I how to hold and stand with it. When I was three, I started taking violin lessons, officially fell in love with music and could never think of anything I would rather do more. Let’s talk about your forthcoming single “Who We Were Before.” What was the inspiration for this track? How is this different than anything else that you have put out before? When I wrote this song, I was going through a pretty dark and painful time. The song really wrote itself and was a really healing process for me. I wanted to put it out in the event that it can help even one person who hears it. Written as a lullaby and played on a Tres Cubano, which is a little Cuban guitar, this is the most stripped down record I’ve ever put out. Do you plan on releasing more new music soon and a full collection of new material? 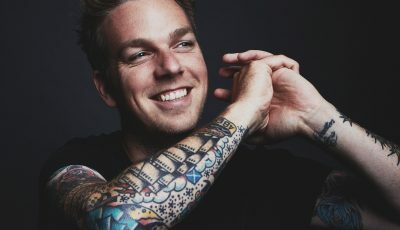 I understand that you have performed alongside some incredible artists over the years, so I am curious to know what you feel like you have learned the most from? I feel one of the people I’ve learned the most from was Lin Manuel-Miranda. During the rehearsal process of “In The Heights,” I got to experience his pure joy for being creative; he is like a little genius kid with unlimited energy. I think it’s so important to always try and create from a pure place and to be unafraid to make things and share them with the world. As an actor as well, I wonder how you feel those skills help translate over being a musician? Do you find that you enjoy doing one over the other right now? I think songwriting and acting are about good storytelling and creating a safe haven for people to feel. I find that each one goes hand-in-hand and makes me better at the other. At the moment, however, I am really enjoying my first love, creating and performing music. Probably in the studio. But I sing all the time! Sometimes I don’t even realize I’m doing it. Music has always been a reflection of the times and I think it will continue to be a mirror for society and where we are as a people. There have been moments when I’ve been so outraged by some of the things happening in the world, and aside from taking action and putting in my grain of sand, I’ve channeled that pain and love through my music. I think it’s important to use our gifts as instruments for peace and change. Music has the power to move and change people, which is why it’s important, for me at least, to observe my surroundings and let that inspire and guide my voice. That is always such a hard question because I love so many artists. But some staples that continue to inspire me to this day are Prince, Joni Mitchell, Jeff Buckley and Aretha Franklin. As for who I would like to work with in the future, that list is also quite long. However, I can say for certain I would love to work with John Mayer, Ed Sheeran, Sia, Marc Anthony and Robi “Draco” Rosa. I want people to feel uplifted and inspired. I think that we all have flaws, we all falter, and we don’t always do the right thing. But we can always choose to be better humans every day, and that’s what matters. I hope you like the music! I made it for you! I also want to stay connected and hear from you guys! So come find me on social media and hopefully see you at some shows soon! An Interview With The Feminist Band, ROSIE & THE RIVETERS!